Most unemployed people aren’t aware of this but an extra free annual credit report is available to people without employment. This has been a right of the unemployed for nearly fifteen years and yet very few people without jobs take advantage of this right. The problem is twofold. First, many people don’t know about this right. And second, many unemployed people don’t understand the value of getting their free credit report. Read on to gain a better understanding of the issue. As you probably already know, each of us is allowed to get one free annual credit report from each of the three major credit reporting bureaus. Smart folks stagger this out over the course of the year, getting one report from each agency every four months in order to consistently monitor their credit. If you are unemployed, you actually have the right under federal law to receive an additional free credit report each year from each of the three agencies (meaning that you can get two credit reports per year from each of the agencies at no cost while you are unemployed). The only caveat is that you must intend to look for a job within the next sixty days from when you request the additional free report. Why Get Your Credit Report During Unemployment? Potential employers are probably getting your report. When you apply for a job, your potential employer may get a copy of your credit report as part of the background check done before hiring you. This is a hugely controversial act that many people say violates their privacy but that’s an issue for another time and place. For now, it’s important to be aware of the fact that this may happen. You want to know before employers do about exactly what is on that report. This allows you to set the record straight about anything you need to during your interview before the employer actually gets their hands on the report. The more information you have, the better equipped you are to deal with the situation and get gainful employment despite any problems on your credit report. It’s a good time to fix errors on your credit report. 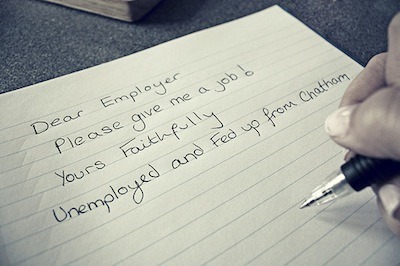 Being unemployed is hugely stressful and can make you feel very overwhelmed about the state of your finances. However, there are things that you can do to gain back some feeling of control over what’s happening in your financial life. One thing that you can do is to make sure that all of the information on your credit report is correct. If it’s not, you can dispute that information and repair your credit. This is not only good for you financially but can also help return some of your self-esteem to you during the rough period of unemployment. This provides a good picture of your financial situation. You may not want to face what’s going on with your money when you’re unemployed but it’s important that you do. Reviewing your credit report can help you to see exactly where your money is going, what your debts are and where payments are required. You may not have the funds right now to repay all of your loans but you can start to make smart decisions about how to prioritize your spending and debt repayment. Again, the more information that you have about your money, the better off you’re going to be financially even when you don’t have a lot of money coming in. It’s free. When you’re unemployed, you have to be smart with every single penny that you have. Paying to receive an extra credit report doesn’t make any sense when you can get it for free. Getting the first free credit report of the year from any of the three credit reporting bureaus is easy. Simply go to AnnualCreditReport.com and make the request for a report from the agency or agencies you wish to get a report from. Make sure that you opt out of selecting any additional scores or services that are fee-based. If you’ve already done this, though, and are looking to get your second free report of the year because you are unemployed then you can’t go through the main website. Instead, you must contact each of the individual agencies that you would like a second report from. The best way to do this is to go to the website for the agency, get their mailing address off of the site and send them a letter with your request. You should state clearly that you are unemployed and looking for work and that you are requesting to take advantage of your right for the second free annual report.